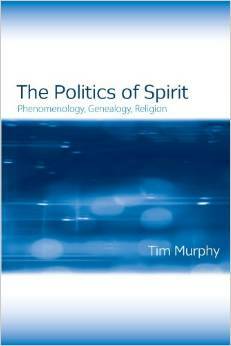 This is part 2 of a two-part interview with Tim Murphy about his new book, The Politics of Spirit; see part 1 here. Craig Martin: In your book you argue that the Eurocentrism or ethnocentrism of the phenomenology of religion is neither arbitrary nor contingent—you argue that it logically follows from its central concepts, which involve a normative essence/manifestation or center/periphery distinction. I would argue, to the contrary, that someone like Vivekanda uses the same concepts in a way that seems designed to usurp European dominance. That is, it seems to me that the possible uses of these concepts are variable and could be turned around to sanction a wide variety of things. My center is your periphery and vice versa—and nothing about these concepts makes Europe necessarily central. What do you think? Tim Murphy: Yes, but he’s reconfigured the network of ideas. Of course that is going to change things. My point is that phenomenology of religion as configured in this specific tradition generates those pathologies. If you think of it this way, Tiele through Eliade are all located inside the empire and speak from there. Vivekanda, I would hazard a guess, is at the other end of the gun, so to speak. Classic phenomenology of religion’s location, both geographically in the European metropoles but more importantly in discourse, makes it inevitably Euro-centric. The same set and order of philosophemes binds “consciousness” to “Christianity” and so Geist to Europe, etc. CM: I know it is early yet, but do you have any sense of how your book is being received? CM: Is there anything you would change about this book in hindsight? Anything that you wished you had spent more time developing? TM: Many things. It was written too quickly. I’d love to redo the chapter on Eliade. However, my explorations into the genealogy of this tradition, as well as my critical work, are complete now (from the viewpoint of my career and intellectual concerns). Time to turn the page. CM: What about this book are you most proud of? What did you reread during proofs that made you say “Yes!” to yourself? TM: The cover. Just kidding. I am really bad, even terrible, about assessing my own work. All I can see are the negative aspects. So that is a uniquely hard question for me. That being said, I think the chapter on Dilthey is well done. Chapter Two on method has some pretty fun stuff. The genealogy of how Geisteswissenschaft worked was also an important insight to me. Finally, my evisceration of Otto, which he richly deserves, is a contribution to the study of religion everywhere. We need to throw that book out of the academy! CM: I know there was a lot left out of this book due to constraints on length and time. Can you give us a hint? TM: Schleiermacher! He is a major contributor to this vein of thought. One of my reviewers mentioned that. I also underplayed the connection which hermeneutics has to this discourse. Finally, although it may sound odd, a chapter on Husserl would have been helpful. CM: I know you’re a person with strong opinions. Can you comment on what irritates you most about the discipline of religious studies today? What drives you crazy? By contrast, what do you like most? What avenues of research look most promising? Who or what should we be reading or studying? TM: Strong, or as I prefer to say definite opinions, but not inflexible ones. In all seriousness, I am as willing as anyone I know in this business to admit when he’s wrong. And here’s an example: I used to be a Husserlian phenomenologist! I loved The Sacred and the Profane when I first read it. I stated in The Politics of Spirit that if poststructuralism proved to be wrong, I’d drop it in a heartbeat. I’m not out to develop a position to which I am wed for the rest of my career. Too many people do that, and it is to the detriment of theory. For anything to happen, you have be able to say, finally, “yes” or “no.” I am willing to do that. Pushing hard on arguments is the best path to clarity. As such, all the fudging that goes on at nearly every level of this business drives me crazy. Another major problem I have with Religious Studies is the way some people use their religious identity, or “faith stance,” as an argument for truth in its own right. This does real harm to the field. Not only is that logically absurd, it seriously limits the scope of inquiry. One is certainly free to celebrate and affirm one’s identity but not in place of an argument. I find the whole thing insufferable. I’d love to see this type of approach as clearly separated from any connection with the academic study of religion as possible. The academy is not the ecclesia: again, a decisive, if nuanced, distinction serves everyone best. I am all for identity politics and am not anti-religious (I’m quite neutral towards it), but the same thing applies. Neither your identity nor your religion gives you any kind of privileged position vis-à-vis argumentation.